We split the progression into three separate lines, meaning that instead of clearing one dungeon and moving to the next in line, you now have the choice after defeating the Lich to go to the Hydra, Ur-Ghast, or Aurora Palace first. Defeating all three is still necessary to gain access to the Highlands. Added Tinker's Construct Integration with Naga Scales, Steeleaves, Fiery Ingots, Knightmetal Ingots, and Raven's Feathers to make materials & tools out of. Twilit appears on all Twilight Forest materials, meaning your tool gains +2 speed in the Twilight Forest and deals +2 damage in any other dimension. Precipitate appears on Naga Scale materials, it lets you use the tool quicker with the lesser health on your Player. Synergy appears on Steeleaf materials, it will passively repair the tool if you have Steeleaf in your hotbar. The more Steeleaves you have in the hotbar, the faster it repairs. Stalwart appears on Knightmetal materials, it will make you more resilient in combat. Veiled appears on Raven's Feather materials, it will render arrows invisible. All charms can now be used in the off-hand and also equipped in the Baubles inventory. All tiers of the Charm of Keeping will keep the Baubles Inventory. Thaumcraft Compat: Live & Reloaded! All items and blocks (aside from unobtainable and some WIP items) now have aspects. Added a config option to make the Portal creation lightning not cause fires, disable it if you're against pyromania derrived fun. Made a new potion effect for the ice render effect from Ice Bombs, Ice Bow, etc. instead of putting it on the Slowness effect. This also stops ice getting applied getting the slowness effect under certain conditions. The Block and Chain now disables shields like an axe. Added config option for players spawning for the first time to spawn in the Twilight Forest. Off by default. Added config option to make Twilight Portals create a blocked-off portal at their destination. Toss in the activation item to unblock the portal. Off by default. Added recipes where Iron armor and tools can be crafted directly into their Fiery counterparts. Added Shield-Parrying for all Twilight Forest Projectiles. Installing Shield Parry mod causes Twilight Forest to skip its parrying methods. Updated the Japanese language file. The Russian language file now covers everything in the mod. Changed the Creative menu icon to the Miniature Portal item. The advancements Past the Thorns and So Castle Very Wow now have a [NYI] tag in their names to signify they are not functional yet. All tiers of the Charm of Keeping now preserve items in the off-hand slot. Charm of Keeping usage now drops any items that would be overwritten by an item saved to prevent item loss if something is put in the player's inventory. Code Improvements for Naga Courtyard. The Zombie Scepter no longer joins its zombie kind by destroying itself at 0 durability. Ore magnet no longer checks ModID in the registry string. Mazestone and its variants once again consume 16 durability from your mining tools when mined. Castle Doors no longer have their texture broken. Charm of Life effect upon death now uses the correct sprite. Improved algorithm for the Miner's Tree, it should be less confused and stuck when trying to pull ores from the ground. Fixed some blocks missing getBlockFaceShape overrides, causing glass panes, fences, walls, etc. to connect to blocks when they shouldn't. Fixed the placement problems with Spiral Bricks and took off the [WIP] tag. Finally fixed texture and UV problems with Knightly Armor and Phantom Armor; rejoice! 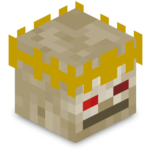 Ur-Ghast's tears should be visible again in Multiplayer when it's throwing a tantrum.